PARISH COUNCIL MEETING: All Chailey residents are invited to attend the meeting of the Parish Council at 7.30 pm on Tuesday March 20 at The Reading Room, Chailey Green. The Council will be considering and making decisions on a range of matters relevant to Chailey and its residents. Members of the public will have an opportunity to speak on any issue they wish to raise or draw to the Council’s attention. The full agenda can be found on the Council’s website at chailey.org. They look forward to seeing you. LUNCH CLUB: at St Peter’s Church is held monthly at 12.30pm in the church, on Chailey Green, and the next lunch club is on Thursday March 22. All are welcome to go along for a delicious meal, meet new people and chat and relax. The food is freshly prepared and home-cooked with a main course, choice of puddings and tea/coffee all for £5 per person. There is easy access and disabled toilet facilities. If you require transport or further information please contact Julia Guerard on 01825 722967. DIESEL GALA: at the Bluebell Railway takes place over the weekend of March 23 to 25. Three locomotives are confirmed the Class 45 No. 45041 and Class 46 D182 owned by Peak locomotive Company Ltd, along with the Class 31 No. 31271 owned by A1A Locomotives Ltd. The weekend will include an intensive operating service with three six-car sets, Brake van rides (in their “Queen Mary” No. 56290) at Horsted Keynes, twelve-car set running Friday and Saturday late afternoon. For more information and to buy tickets visit https://www.bluebell-railway.com/. HORTICULTURAL SOCIETY: Spring Show is on Saturday March 24 at the village hall. The great thing about the village show is there are categories across all age groups, and sections for flowers, vegetables, handicrafts, as well as baking. The Horticultural Society encourage everyone to take part. If you would like to bake something to enter you could choose a Victoria Sandwich, a pot of marmalade, bacon and herb scones or flapjacks or you could make all of them if you wished. It is simple and easy to enter, with entries being charged at no more than 10p or 20p per class. There are plenty of other things which you could do too, so if you are interested in taking part then please email chaileyvillageshow@outlook.com for more information. Alternatively schedules are available at the Five Bells, Horns Lodge and South Chailey Stores or from Peter Estcourt via pge44@waitrose.com or 07803 179708. FIND OUT MORE: Days you are invited to find out about what volunteering in the various departments at the Bluebell Railway. The next day is on Sunday April 8 from 10.30am at Sheffield Park Station, and ending around 4.30pm. The day includes a tour behind the scenes to show the variety of roles and departments that you can volunteer for. For more information, email Volunteer Recruitment Leader David Chappell at Volunteering@bluebell-railway.co.uk or call 01825 720800. 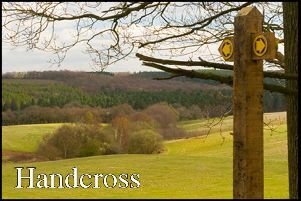 CHAILEY WI: meet on Tuesday, April 3, at the village hall, at 7.45pm when the speaker will be Miranda Tippey will talk on ‘The People of Ashdown Forest’. She will recall some of the characters who lived on the Forest in years gone by. Prospective members and guests are most welcome to attend what promises to be a most interesting talk with lots of local interest, do just go along. There is a nominal charge of £3 which includes homemade refreshments. For more information call Margaret Smith on 01825 723519. PLANNING COMMITTEE: All Chailey residents are invited to attend the meeting of the Parish Council’s Planning Committee at 7.30 pm on Tuesday, April 10 at The Reading Room, Chailey Green. The Committee will be considering current planning applications and the Council’s response to them. Members of the public will have an opportunity to speak about any planning or related matter. The full agenda can be found on the Council’s website at chailey.org. They look forward to seeing you. ST GEORGE’S DAY FETE: organised by Chailey Bonfire Society in the field at Markstakes Corner, South Chailey, and (BN8) takes place on Saturday April 21 and the Society invite you to have a stall. The fete will be open to the public from 12pm to 4pm. Each pitch is suitable for a gazebo and larger pitches are available. Car boots and general stalls cost £10 and charity stalls £5, with parking available behind each pitch. Payment to be made in advance. If you would like more information call Yasmin on 07376071248 or email yasmin.black93@gmail.com. Just to mention, also, that the Horticultural Society will have a big display at the Fete and there will be the opportunity to ask members questions on gardening topics. from 10am to 4pm. There will be model railways (new and second-hand), die-cast, collectables, railway books, Railwayana, photographs and preservation societies. Admission is by platform ticket or free with train travel ticket or Bluebell membership card. WOLF RUN: This 10K extreme obstacle course takes place on April 28 and 29 at Pippingford, Near Chelwood Gate (https://thewolfrun.com/springwolf/). Chailey Heritage Foundation has been chosen as this year’s charity to benefit from the Wolf Run Event which is a fun way to challenge yourself and support Chailey Heritage Foundation at the same time. As well as entrants, the Foundation would like volunteers to support them over the two days by helping to man the Key and Bag Drop and the bouncy castle. If you, your friends or family are up for a challenge or would like to help through volunteering please do contact Joan Martin, Community and Events Fundraiser at the Foundation, on 01825 724444 ext. 718 for more details. GIRLGUIDING: Rainbows (5-7) and Brownies (7-10) currently meet in Chailey and Newick, Guides(10 -14 ) and Senior Section (14+) meet in Chailey. Guiding at all levels is very popular and all the Units are thriving, with spaces in Chailey Rainbows and Brownies at the moment. Modern Guiding is a blend of the best of the traditional with a contemporary twist. Activity badges and adventures are constantly being updated to keep up with modern trends and demands. Girls in the local units are offered all sorts of different opportunities and most definitely make the best of them. Adults as leaders for all age groups are welcomed; this could be as a uniformed leader or as a Unit helper, helping as and when you can to fit in with your lifestyle. Mentoring and full Leadership training are provided. Contact Terie Galpin at terie.galpin@outlook.com for further information or visit the Girlguiding website at www.girlguiding.org.uk and follow the link to register your interest either as an adult or for your daughter to join. Do go along, join in and give Girlguiding a try, it is great fun and many lasting friendships and happy memories are made.